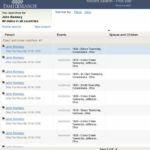 The good folks at FamilySearch announced today that they have added more indexes to their online census collections. Among the good news for Ohio researchers is that Ohio is now included in the 1850, 1860, 1870, 1880 and 1900 indexes. Digital images are linked to the index, so you can see the images online for free from the comfort of your own home! Go to http://pilot.familysearch.org and click on North America on the map to see a full list of all the collections they have online. You can then click on any of those links to get more information about a specific collection or to search. 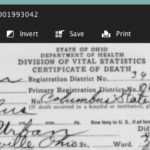 This entry was posted in FamilySearch, Genealogy, Ohio and tagged census, FamilySearch, Genealogy, Ohio by Amy Johnson Crow. Bookmark the permalink.